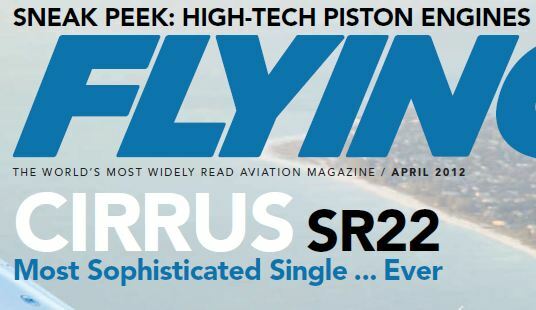 In the April 2012 issue of Flying magazine, the cover story says that the 2012 Cirrus SR22 is the most sophisticated single-engine civilian airplane ever built. We’re sure the folks at Cirrus are thrilled, as are we (since we get to instruct in this amazing airplane owned by TBP Aero!). We were able to obtain a pdf copy of the cover page and the article. Here’s a link to the file. Enjoy! Don’t forget to contact Silicon Valley Air Charter for your air transportation needs in Northern California.